For decades now, women have been trying to reinvent the idea of beauty. It seems that they have finally succeeded in this endeavor. Unless you’ve been living under a rock, you probably know that eyebrows play a very important role in the beauty business of today, with more and more women opting for different procedures in order to make their eyebrows perfect and just the way they want them. However, it also seems that eyebrow procedures are appearing out of nowhere very fast, so it might be quite difficult to keep up with all the latest trends. You’ve probably heard of microblading eyebrows treatment, but do you know what it is? Also, have you heard of microshading brows procedure? Yes, they do sound the same but these two procedures are definitely quite different in some aspects. Suffice it to say that microblading is becoming more and more popular, with more and more people opting to complete a microblading training in order to become artists as it can turn out to be quite profitable. The procedure is actually quite simple even though it lasts for a couple of hours. It requires the use of needles that help place the pigment into your skin. Using hair-like strokes, the artist makes sure the pigment penetrates your brow skin thus leaving nice strokes that look like real hair. This procedure is not painful as a good artist will use a numbing ointment to make the whole experience more comfortable. Choosing a good microblading artist is of the utmost importance, as it can make or break each brow look. So opting for one who earned a certificate from the PhiAcademy, like everyone at the Art of Beauty Academy USA, is a great choice! A quality artist will pay special attention to the needs of every client. Even though it’s very similar in nature, microshaded eyebrows look a bit more different than the microbladed ones. During this procedure, the artist will not be making the usual hair-like strokes that will create the perfect artificial hair on the brow, but he will rather use a stippling method. This method uses repetitive doses of pigment and thus make the whole look less harsh than the one during microblading. The difference between these brow techniques is achieved due to the fact that microshading uses a different tool which is known as rotary tool. This allows the artist to add fuller and more frequent strokes to your brow. As a result, this procedure creates a soft, powdered effect that resembles eyebrow powder, and it is definitely the look that you might see on photographs of many influencers. Microblading leaves tiny, natural-looking hair strokes, while microshading leaves small, pinpoint dots that create the whole look. At the end, your eyebrows will look fuller and thicker. This procedure has been widely chosen not only by thousands and thousands of women around the world, but also men. Simply take a look at any red carpet and you will see dozen of celebrities who underwent this procedure. Microblading is simply for everyone, especially to those who want to completely reinvent the shape of their brows. If you, for example, have sparse or lightly-colored brows and you want to fix them, this is the procedure for you. Mind, however, that the outcome will depend greatly on the type of your skin, so if you have dry skin then you’re a good candidate for microblading. 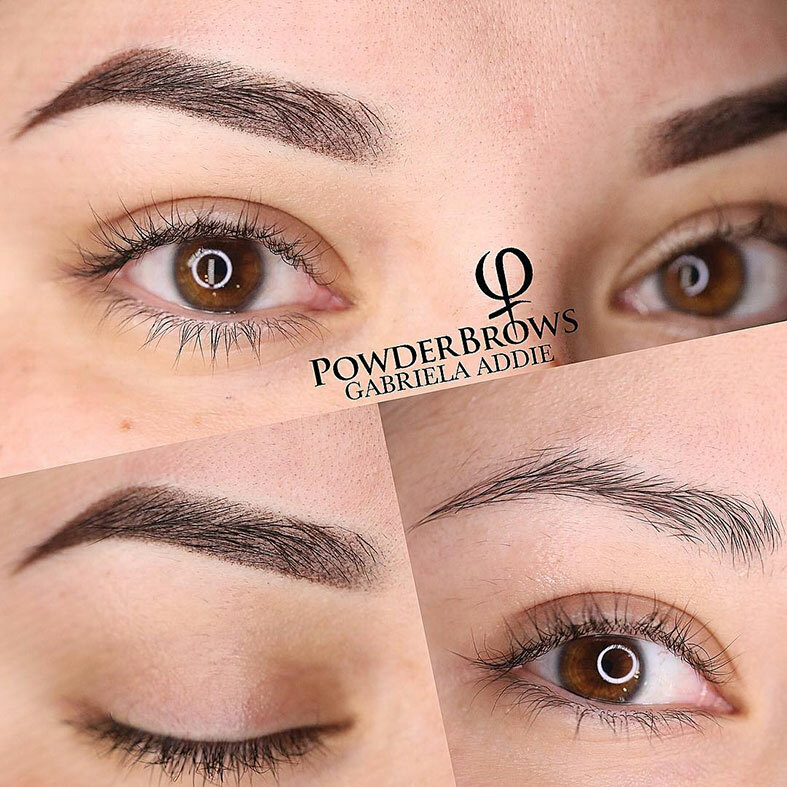 Microshading creates a different effect, so if you have certain empty spots in your brows that you want to slightly fill then you should opt for this procedure. There is no need for you to undergo the microblading procedure unless you’re completely unsatisfied with the overall shape of your brows. 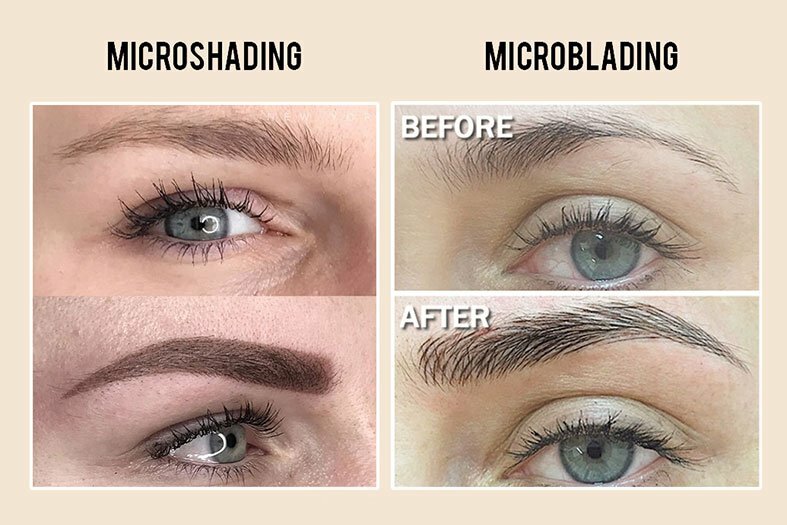 Moreover, if your skin is somewhat sensitive or you have an oily T-zone and you don’t have the courage to pull the microblading trigger, microshading is a great second option. 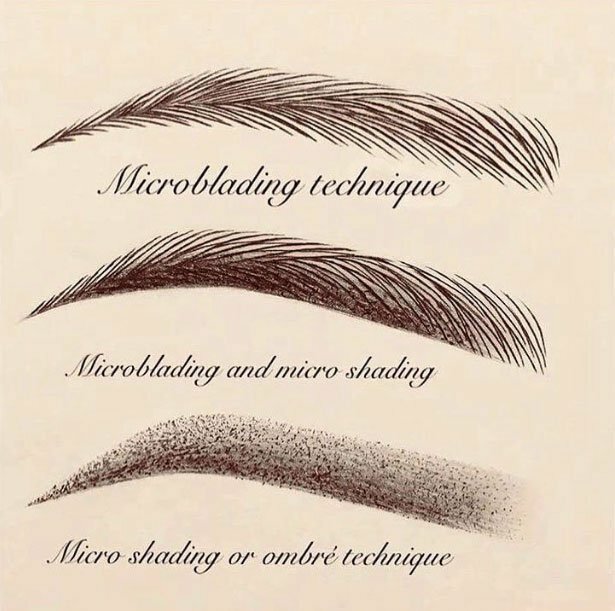 Bearing this in mind, we can say that ‘microshading is the little sister of microblading’. Many experts agree that if you suffer from sensitive or oily skin, this is the best procedure for you as it takes better to your skin type. However, why talk about microblading vs microshading when we can talk about the combination of the two? Many opt for this, which is definitely something that you should bear in mind if you want killer brows. The ombre effect of the brows, for example, is achieved with the combination of these two and is currently quite popular. If you want to pursue a career in this department make sure to learn the ombre skill from the best. If you are the person who has thinning eyebrows with drier skin, then this combination is for you, especially because thinning eyebrows can benefit from a bit of extra shading. 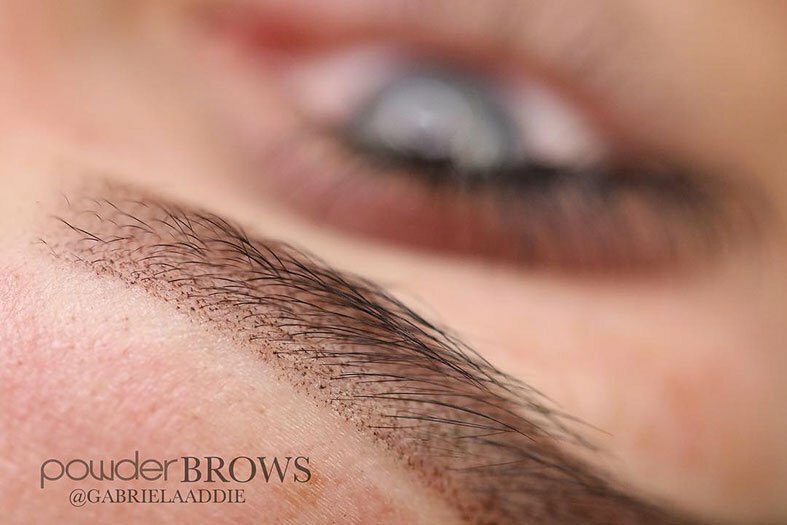 There’s no difference in the lifespan of microblading and microshading, as they can stay on your face somewhere between 12 months and one year. This depends on the artist and the way you treat your eyebrows. Of course, you will need a touch up appointment after a month or so, but later on, you will have at least a year before going to see your brow artist again. One of the frequently asked questions is if these procedures hurt. Each procedure or treatment that requires incisions to be made into your skin should be a bit painful. Good news is that most artists use a numbing ointment prior the actual process, making the session more comfortable. No matter which procedure you opt for, either microblading or microshading, make sure to choose the right artist who will do the work. Choose someone who’s certified (the best option would be to look for the sign of PhiAcademy) and take a look at the photographs of the brows that they’ve made. Since the photographs never lie, you will be able to see if they have the tendency to create botched brows or not. Once you choose your artist, discuss all the possibilities, and come together to a decision what procedure is right for you and what shape of brows you want. The artist should gladly help you create the best result.